Wilson’s Heart brings players into a 40’s monster movie full of iconic foes and supernatural dread. 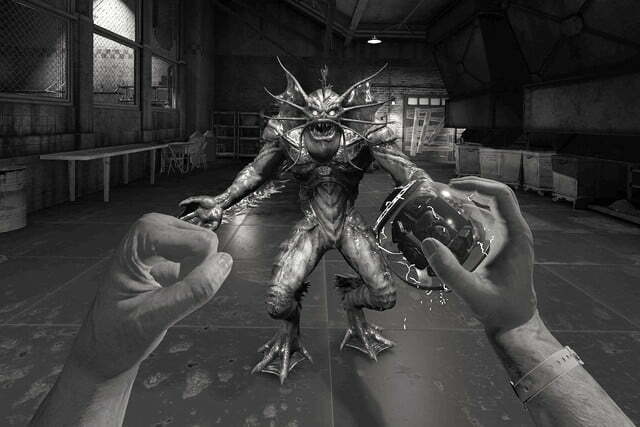 A few genres of video game really lend themselves to virtual reality. First-person shooters excel with the technology, because shooting while wearing a headset and a motion controller that stands in for your hand feels so much more natural than a controller and a TV set. But the genre that really seems like it could define the early years of virtual reality is the adventure game — those puzzle-filled, story-driven titles in which players usually advance by picking up seemingly random objects from the world and figuring out what they’re expected to do with them. 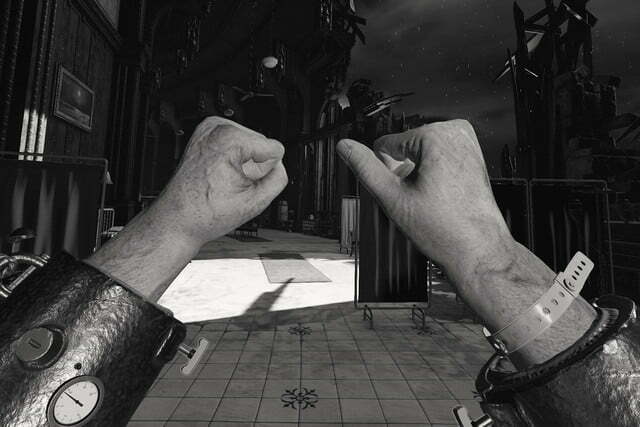 With controls the Oculus Rift’s Touch, players can physically perform the actions adventure games used to handle by providing a menu filled with verbs. 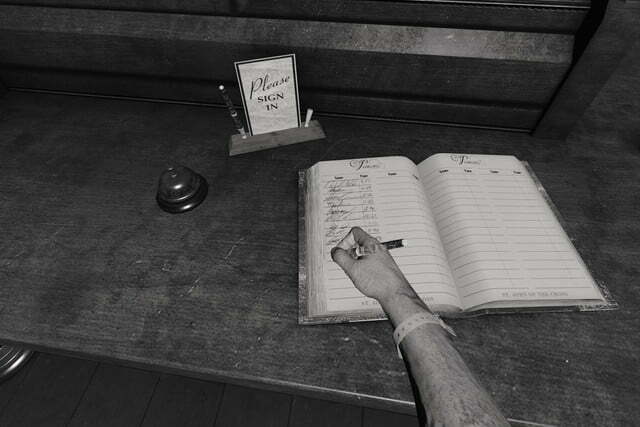 You can pick up virtual bottles and take their caps off, or use a hand saw to cut a piece of wood, or perform any number of fairly convincing actions to figure out how to make a particular object useful in a video game world. Rift-exclusive thriller Wilson’s Heart is one of those VR games that feels like the next step in adventure titles. Its primary drive is to get you exploring, pulling open drawers and checking under tables, to find the stuff you need and figure out how to use it. The fact you might need any of those objects to fight off the occasional monster movie creature is just a note that exists in the back of your mind, keeping you on your toes for the next big scare. 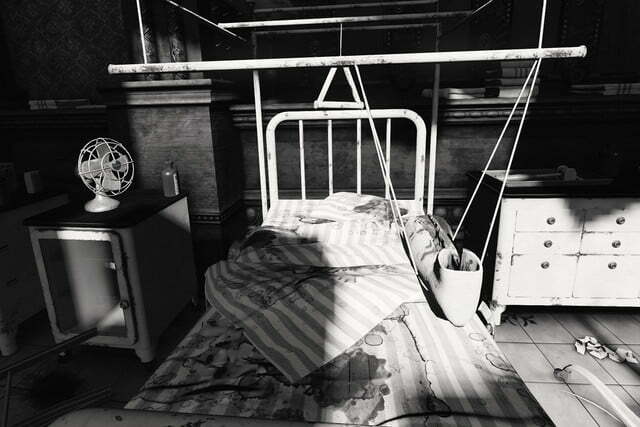 Something strange has happened in Wilson’s Heart, when titular protagonist Wilson awakes to find himself in a deserted, half-destroyed hospital, strapped to the table. Part of the roof has caved in. Clouds drift over the exposed moon, lightning occasionally ripping the sky. If the voice of Vincent Price narrating the words “It was a dark and stormy night” were to echo through your headphones, it wouldn’t be out of place. Figuring out where you are and why is the first order of business in Wilson’s Heart. It’s not long before you start discovering the bodies of the staff and the cryptic notes and files that give an idea of what might have happened here. What killed them remains to be seen, and Wilson’s Heart takes advantage of the tension by dropping the occasional jump-scare or lengthy blood trail to freak you out a bit. 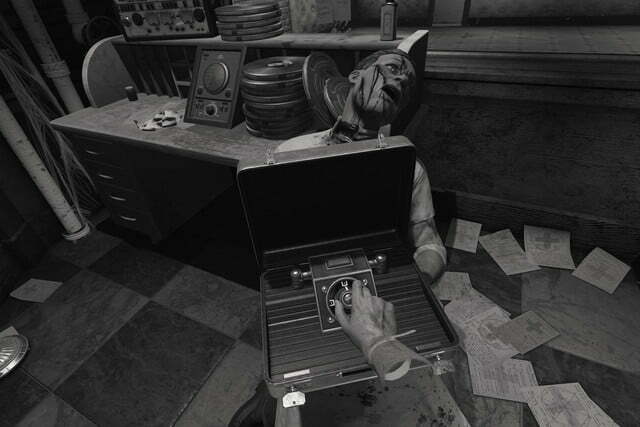 To keep players from contracting dreaded “simulation sickness” — the nausea and disorientation that can result when your eyes think your body is moving but none of your other senses do — Wilson’s Heart includes a system where players can teleport around the game to preselected locations. That means you’ll bounce to a doorway, open it, and fade to black as you approach a counter or locker, and so on. Though you play Wilson’s Heart with Oculus’ Touch controllers, and need a fairly large space in order to be able to physically reach and interact with everything the game tosses your way, the teleportation trick goes a long way toward keeping things comfortable. 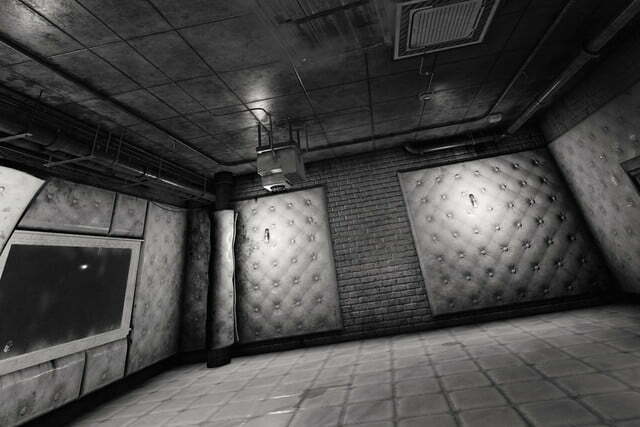 It also gives the game a couple of chances to freak you out as the scene fades in from black after each move. Rift-exclusive Wilson’s Heart is one of those VR games that feels like the next step in adventure titles. 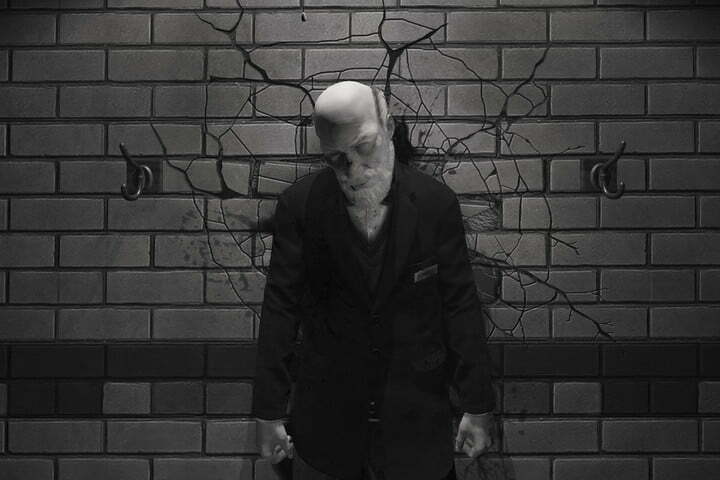 Finding your way through the hospital in an attempt to escape usually means puzzles to solve. Most of those puzzles are of the adventure game variety, in which you find objects, pick them up, and figure out why they’re useful later. 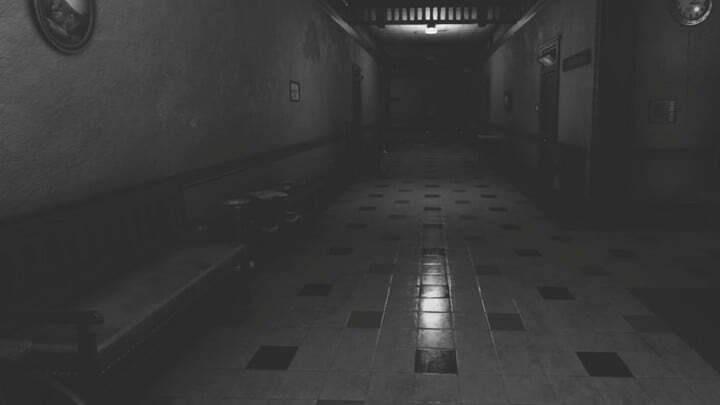 When darkness blocks a hallway ahead of you (and becomes infested which strange, Slenderman-like creatures that are destroyed by light), for instance, you clear the way by finding everything you need to set a fire. That includes a mattress left in a cart you have to push into position, a bottle of kerosene to open and dump on the flammable material, and matches you have to remove and strike against the box to light. But while Wilson’s Heart is full of these slightly more cerebral moments, the fun of the gameplay is less about always trying to find solutions than it is to literally, physically execute on them. When you find an electrical box and decide to bash it open with a hammer, or use a camera flash to illuminate a dark hallway, motion controls help to make those actions extra satisfying. 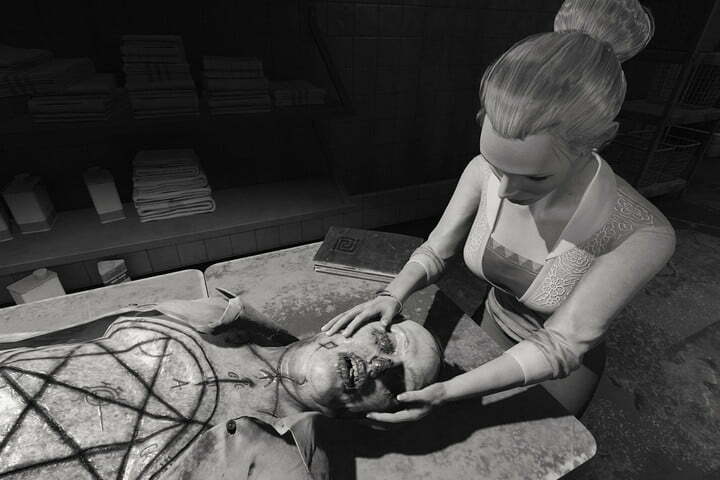 Wilson’s Heart leverages VR by immersing you in its spooky, black-and-white game world; developer TwistedPixel’s goal isn’t head-scratching puzzles, it’s nailing its spooky, b-movie atmosphere. In that respect, the game definitely succeeds. Set in the 1940s, Wilson’s Heart is a love letter to old monster movies. It has its jump scares, but a lot of Wilson’s Heart is dedicated to a careful combination of dread and camp. 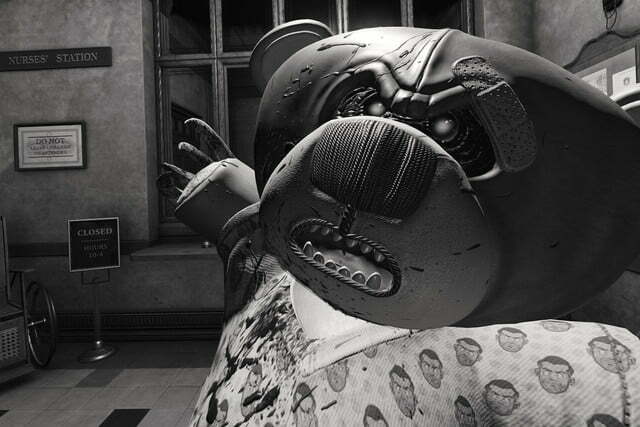 For instance, one of the first actual enemies that players encounter is a vicious, living teddy bear. Like Chucky from “Child’s Play,” it taunts Wilson before literally leaping onto his face, forcing you to bash it off, usually by grabbing a nearby bottle and smashing the thing across the face. When you find survivors early on in the game, more than one is a movie callback. There’s the extremely obvious reference in Bela (as in Dracula actor Lugosi), who’s tall and thin, speaks with an accent (voiced by Alfred Molina of Spider-Man 2 fame), and sports pointed ears. A little less well-known is Kurt, whose clothes and standoffish demeanor are a pretty clear reference to Ben, the protagonist of George Romero’s Night of the Living Dead. TwistedPixel has no problem piling on the movie references or expanding its strange supernatural story in ways that don’t make a ton of sense, but always serve its ambiance. At the center of it all is the titular heart, a clockwork occult contraption in Wilson’s chest that has replaced the organ he was born with. The clockwork heart is Wilson’s Heart’s unique mechanic — you can pull it out of your chest to do nifty things that unlock over time, like shock electrical systems back into service or throw the heart like a deadly boomerang to take down enemies. Like puzzle solutions, the heart only becomes available when you really need it — it’s about the physicality of the moments (like Wilson’s groans of pain as you reach into your chest and yank out your weapon) rather than the brainpower needed to figure them out. If Vincent Price narrating the words “It was a dark and stormy night” were to echo through your headphones, it wouldn’t be out of place. Being a monster movie, Wilson’s Heart throws the occasional battle at you, pulling classic creatures from black and white horror films. These fights can be pretty fun, as the game extends the gameplay of “look around for something you can grab and use” in clever ways. One battle has you snagging a nearby metal cafeteria tray to shield yourself from a monster’s blows, while another has you grabbing a sword and slicing attackers as they come into range. But the boss fights are also some of the more annoying points of the game, precisely because in forcing you to quickly find a way to save yourself, it’s not always clear what the game wants from you. One fight, right after unlocking the ability to charge the heart with electricity and use it to zap enemies, dragged us through probably 10 minutes of constant restarts because we weren’t getting that the game wanted us to use the heart to block a creature’s punch. Wilson’s Heart has frequent checkpoints, but one-hit deaths in these fights can send you loading and loading and loading while you keep trying to look around for the one clue you’re missing to save yourself. Once we finally figured out the electrocution fight, after trying just about everything else we could think of in the 10 seconds between reloading the checkpoint and getting killed, the fight was a little more fun and breezy. When Wilson’s Heart gets you a little panicked as you hear or see something scary advancing and you’re struggling to procure the right object to protect yourself, it’s great. But when you fail repeatedly because you’re missing something out of your view or what the game demands isn’t obvious, the frustration can pile on. Luckily, these moments are rare, with much more time dedicated to figuring out the mystery of what’s happened to the hospital and seeing scary stuff, like creatures plowing through walls to carry away hapless nurses. 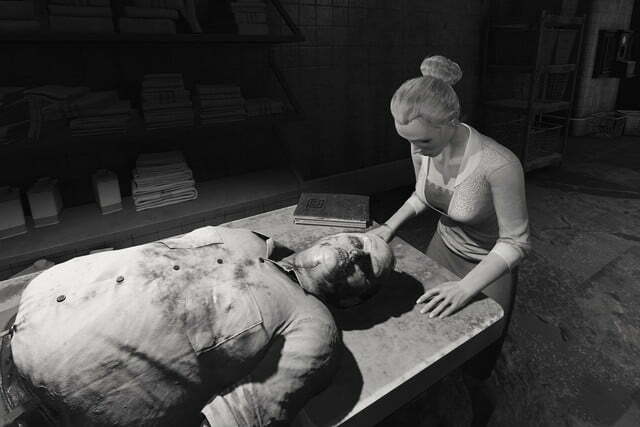 Exploring the hospital and its strange supernatural intricacies, where spaces shift and impossible secrets hide, is the stuff that makes Wilson’s Heart memorable and makes great use of the 360-degree claustrophobia of VR. That, and the creepy things that often lurk somewhere in the shadows. As mentioned, ultimately it’s not the clockwork heart gimmicks or the puzzles that make Wilson’s Heart entertaining: it’s spending a few hours lost in a black-and-white monster movie that makes zero sense but feels lovingly crafted. Whether it’s examining exsanguinated bodies by reaching out and moving them, or reading strange but exceedingly detailed in-game comics that fill in backstory, so much of Wilson’s Heart is built to capture this one particular monster movie feel. 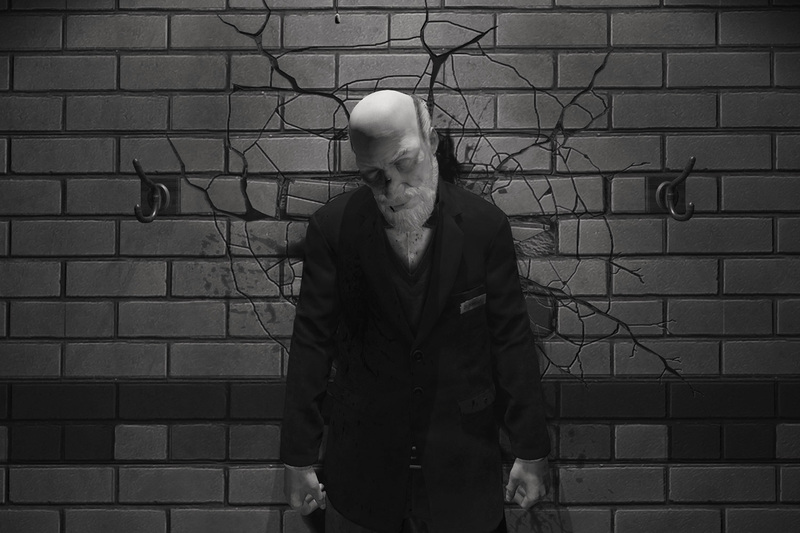 Though Wilson’s Heart isn’t particularly challenging, TwistedPixel has made a good case for virtual reality by dropping players into a spooky, fantastical situation and letting them feel like a real part of it. 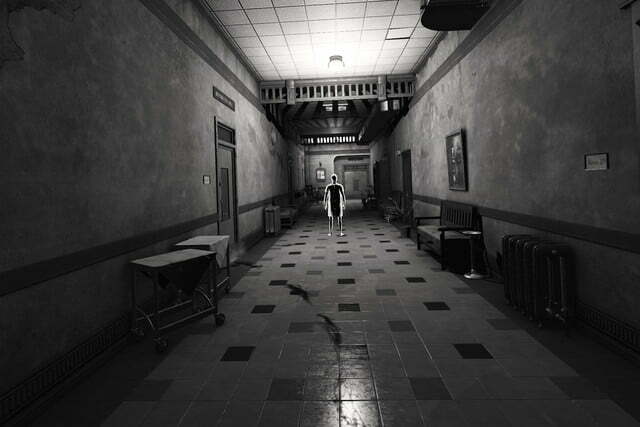 It’s not the most frightening game you’ll ever play, but Wilson’s Heart has a lot of fun with its subject matter, and wandering through the halls of its hospital like a player in a bad Bela Lugosi movie can definitely bring the scares.